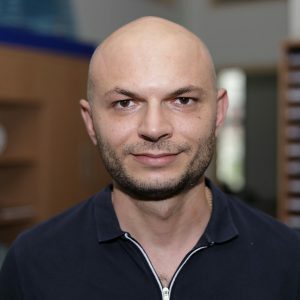 Aleksandr Grigoryan has a PhD from University of Turin and a Master Diploma from the Institute for Advanced Studies in Vienna, both from the economics field. Starting in 2009, he has worked at the Research Department in the Central Bank of Armenia and has been teaching at the American University of Armenia (AUA), School of Political Science and International Affairs. 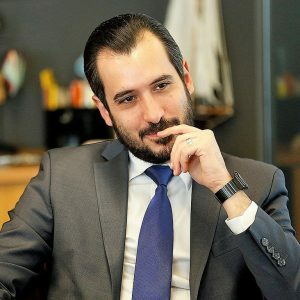 Since April 2012, he has been appointed as an Assistant Professor of Economics at the College of Business and Economics and the College of Humanities and Social Sciences at the American University of Armenia. 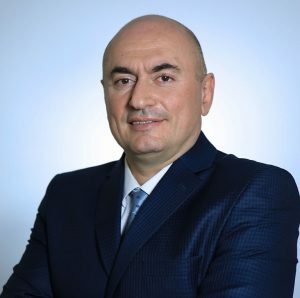 In August 2014, Dr. Grigoryan has been appointed as a chair of the Master of Business Administration program, at the College of Business and Economics. Aleksandr Grigoryan is very active in research and publishes in peer-reviewed journals regularly. He has publications in Journal of Income Distribution and Eastern European Economics, among others. His research covers topics from development economics such as income distribution, migration, transformation of industry structure etc. Dr. Grigoryan has solid research consultancy experience, working with international and Armenian research organizations. Aleksandr Grigoryan is an Affiliate Fellow of CERGE-EI since 2013. He is a board member of the Armenian Economic Association (AEA) and served as the AEA president in 2015-2017. A model with indivisible investments in different environments. Armenian Economic Journal, 2015, Volume 1 [http://aea.am/journal.html]. A model for anocracy, Journal of Income Distribution, Volume 23/1, 2013. Remittances and emigration intentions: evidence from Armenia, with Knar Khachatryan (AUA). CERGE-EI WPS626, ISSN 1211-328, October 2018. Positional concerns and Social capital: evidence from South Caucasus, with Armenak Antinyan (Tianjin University of Finance and Economics) and Vardan Baghdasaryan (AUA). CERGE-EI WPS625, ISSN 1211-3298, September 2018. Multidimensional poverty in Armenia, with Pundarik Mukhopadhaya (Macquarie University). Forthcoming in ADB Economics WP Series, 2018. Inclusive economic development in Armenia, with Vardan Baghdasaryan (AUA). Good Jobs for Inclusive Growth in Central and West Asia; ADB, 2015-2017. Forthcoming in ADB Economics WP Series. Employment and labor market policies in Armenia, with Vardan Baghdasaryan (AUA). Good Jobs for Inclusive Growth in Central and West Asia; ADB, 2015-2017. Forthcoming in ADB Economics WP Series. Armenia: Income Gaps. World Policy Journal, (2015) 32(1): 3-11 [short article]. Migration and power. EERC WP 15-03E, 2015. The effects of the exchange rate on exports: the case of Armenia, with Gor Khachatryan (RA Ministry of Economic Development and Investments). Interaction between income inequality and monetary policy: theory and evidence, with Hayk Sargsyan (Central Bank of Armenia). Compulsory versus Voluntary Savings as Incentive Mechanism in Microlending Contracts: theory and evidence, with Knar Khachatryan (AUA), Oliver Bruno (SKEMA) and Roy Mersland (University of Agder). Performance and Capital Structure of Microfinance Institutions: spatial patterns, with Knar Khachatryan and Valentina Hartarska (Auburn University). Social expenditures and multidimensional poverty: evidence from the Armenian Household Survey Data, with Pundarik Mukhopadhaya (Macquarie University). Seasonal versus permanent migration: common patterns in South Caucasus, with Sona Kalantaryan (European University Institute) and Armenak Antinyan (Tianjin University of Finance and Economics). Testing monetary policy: Discretion versus Commitment, with Narek Ohanyan (University of Pompeu Fabra). 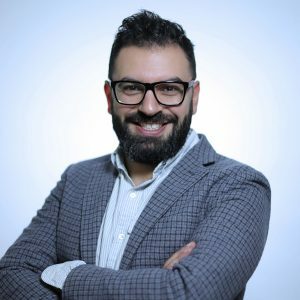 Knar Khachatryan joined the CBE in 2013 as an Assistant Professor of Marketing and Management. She is an affiliated researcher with Knowledge, Technology and Organization (KTO) research center, SKEMA Business School (France) and GREDEG research lab, University of Nice-Sophia Antipolis (France). Her research centers on microfinance and development finance. Dr. Khachatryan contributed to the Global Microscope 2014 of The Economist Intelligence Unit (EIU) also consulted to Artsakhbank for Microfinance portfolio development in Stepanakert, Nagorno-Kharabagh Republic. Prior to joining the AUA, she worked at SKEMA Business School as teaching assistant lecturing both in English and French, and administering business simulations. 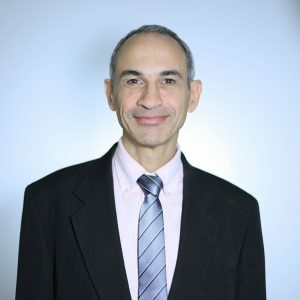 Dr. Khachatryan was a Visiting Research Fellow at the Auburn University, Alabama; and Center European Research on Microfinance (CERMi), Belgium. The Ph.D. thesis of Dr. Khachatryan won the 2014 SAB Trophy for Sustainable Finance. Ph.D. in Management from SKEMA Business School. Performance and Capital Structure of Microfinance Institutions in Eastern Europe and Central Asia (with Valentina Hartarska and Aleksandr Grigoryan), Eastern European Economics, 2017; 55(5):395-419. Michael Kouchakdjian is Professor in the College of Business and Economics, teaching courses in business, management, and entrepreneurship. He is also the Director of the Entrepreneurship and Product Innovation Center at AUA (EPIC). 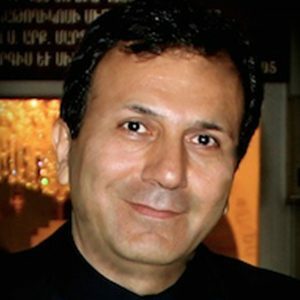 Professor Kouchakdjian’s background is in the biotech industry, where most recently he was founder and president of Blue Stream Laboratories, Inc. (Cambridge, MA). 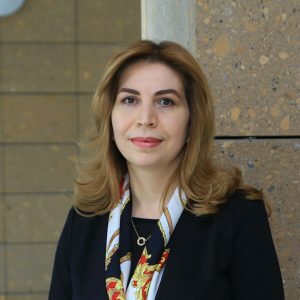 Previously at AUA, Kouchakdjian was Director of Administration (Prorector), Director of the Center for Business Research and Development, and Project Executive for the construction and startup of the AUA Business Center. Pierre Rostan worked for more than 12 years in the industry, having developed expertise in derivatives and risk management. He has been New Products Manager in the R&D Department of the Montreal Exchange, Canada; Risk Consultant at APT Consulting Paris and Analyst at Clearstream Luxembourg. He holds a Ph.D. in Administration from the University of Quebec, Canada. He has teaching experience on four continents in Canada, France, India, Vietnam, Afghanistan, and Egypt. As an Associate Professor at the American University of Armenia, he teaches courses in the area of financial markets. 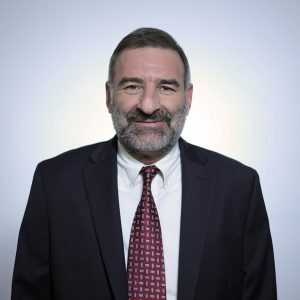 Sergey Tantushyan is the Director of Extension Programs at the American University of Armenia and a Strategy professor in the MBA program at AUA. Sergey was formerly a Deputy CEO at IDeA Foundation, a major philanthropic organization undertaking headline development projects in Armenia. 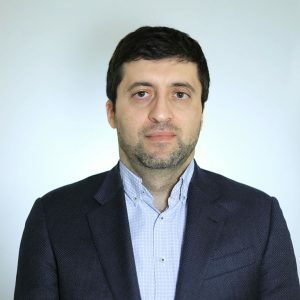 He has a management consulting background with 15 years of experience in strategic planning, project implementation, and strategy advice, in New York, Yerevan and Moscow. He has worked at the Central Bank of Armenia and served as a consultant at the OSCE office in Yerevan. Sergey’s private sector experience includes management positions in investment and consulting companies in Russia, from 2005 to 2007. Back in Armenia, Sergey headed the Strategy Development Division of AmeriaBank in Yerevan from 2007 to 2009, and thereafter pursued his MBA in Boston. Before returning to Armenia in 2012, he worked as an Economist at The Conference Board in New York. 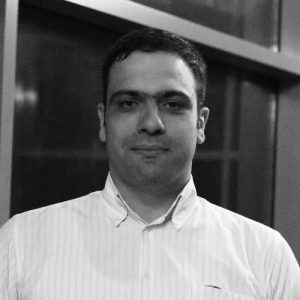 In addition to his 2011 MBA from Brandeis International Business School in Boston, MA, Sergey also holds an MSc in Economics from Yerevan State University, an MCLS from AUA, and a Doctorate degree in Finance and Economics from the National Academy of Sciences of Armenia. As a 2006 Fulbright Fellow, he pursued studies in Strategic Development and Global Economy at Dickinson College, Pennsylvania. Sergey is also an alumnus of the Eurasia Executive Leadership Program (2008), University of Cambridge, UK. In 2009, he became a Sauvé Scholar and Academic trainee at McGill University, Canada. 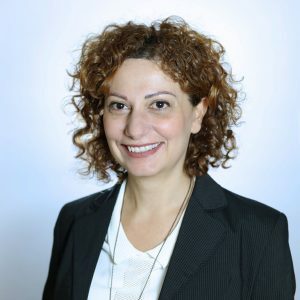 Dr. Hilda Grigorian joined AUA College of Business and Economics in 2013, teaching “Effective Communication” to MBA cohort and “Business Communication” to BAB cohort. 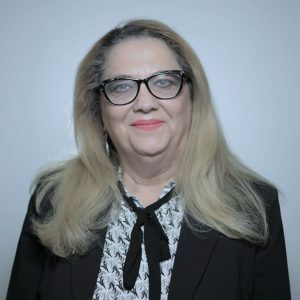 Dr. Grigorian has over 25 years of professional experience in private sector in U.S. with over 16 years of experience in International Development arena including 8 years of working for USAID and other donor agencies in Afghanistan, where she served as Senior Development Adviser to the U.S. and NATO Armed forces. As a Subject Matter Expert for Afghanistan, she played a key role in training both civilian and military personnel prior deployment to Afghanistan in the areas of: cultural awareness, communication and ethics. In May 2011, Dr. Grigorian was recognized by the U.S. Congress for her achievements in Armenia and Afghanistan. Dr. Grigorian earned her Ph.D. in Public Policy and International NGO Management from Walden University. B.S.- Business Administration- University of LaVerne, California, U.S.A.
MBA- Executive Business Management- University of La Verne, California, U.S.A.
Ph.D.- Public Policy- The University of Walden, Pennsylvania, U.S.A.
Mr. Chalabyan is an adjunct lecturer, teaching Auditing and Finance to MBA and MSSM cohorts. Mr. Chalabyan holds an MBA from AUA and a Bachelor degree from the Yerevan State University. 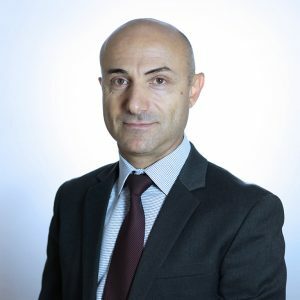 Mr. Chalabyan holds a Chartered Certified Accountant certification (ACCA), Certified Internal Auditor (CIA), Certified Risk Management Assurance (CRMA) and is Certified in Risk and Information Systems Controls (CRISC). Mr. Chalabyan is the President of the Institute of Internal Auditors-Armenia, an active member of Financial Services Guidance Committee at Global Institute of Internal Auditors in Florida, and ISACA (Information Systems Audit and Control Association). Dr. Gevorgyan teaches Corporate Finance and Risk Management at AUA MBA program. His core expertise is in corporate finance and valuation, risk management and investments, strategic management, capital markets and investment management and microfinance. Garegin is the CEO of SEF International, a WorldVision microfinance operation in Armenia. Prior to that Garegin consulted for Symbiotics, a microfinance intermediary, on bond issuance for Armenian lenders, developed renewable energy financing program at Cascade Credit with EBRD and World Bank. He has also, helped set up a financial services group, advised Armenian banks on risk management, developed investment proposals for venture capital firms in NY, USA, and set up risk management systems for international reserves at Central Bank of Armenia. Dr. Gevorgyan holds a Doctorate degree from Yerevan State University, an MBA from Hofstra University, and is a CFA charterholder. Dr. Galstyan teaches Industry and Competitive Analysis in affiliation with Harvard Business School’s Institute for Strategy and Competitiveness. His core expertise is in strategy formulation and implementation, analysis of competitiveness, theory and practice of adaptive leadership, and statistics. Mr. Galstyan is the Head of Statistics department at the Central Bank of Armenia. 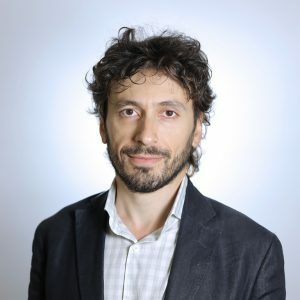 He holds a Master of Public Administration degree from John F. Kennedy School of Government at Harvard University and a doctorate degree in International Economics from Yerevan State University. Dr. Galstyan has presented research finding and participated in numerous national and international professional conferences. 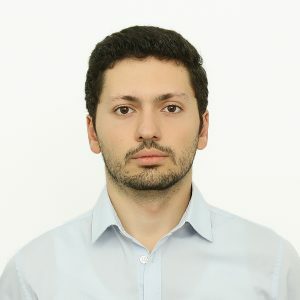 Habet has over 5 years of experience in teaching data science, organized different trainings and workshops in this field and consulting local and foreign companies in data science-related projects․ Habet was responsible for preparing the data and assignment for Youth Data Science Competition. Habet has a PhD from Armenian National Academy of Sciences and MBA from the University of Missouri-Columbia. 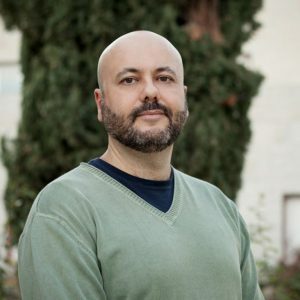 Habet is also co-founder of a marketing research automation company myChoice (http://mychoicesurveys.com/), registered and operating in Singapore. Habet Madoyan is currently the chair of BS in Data Science program at AUA. 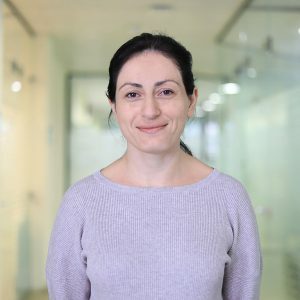 Arpi Karapetyan is the Founder and Managing Partner of Cascade People & Business (www.cascade.am). Besides, she is the Founder & Chairman of Armenian HR Association (www.hrclub.am) and the initiator of Regional HR Conference. She is an Internationally Certified HR Professional (SPHRi, SCP), Internationally Certified Coach (ECC), trainer and consultant. Arpi has over 25 years of experience in Human Resources Management, 10 years of experience in Human Resources Consulting, Personal Training and HR Community Development, 5-years of experience in Personal and Group Coaching. She has numerous designed development programs for individuals and teams. To learn more visit www.arpikarapetyan.com. 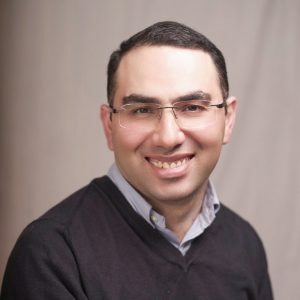 Ashot Arzumanyan is co-founder and partner with SmartGateVC, a Silicon Valley pre-seed venture capital fund investing in deep tech Armenian startups. The SmartGateVC team stands behind Yerevan Machine Learning Excellence Center, Gate42 Quantum Computing Research Lab, Y-Ledger Consortium of Blockchain Developers and Armenia Startup Academy pre-acceleration program. 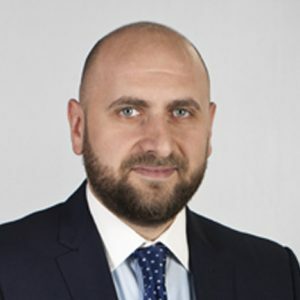 Ashot has extensive experience in mentorship, investment advisory and deal structuring for companies across many sectors, as well as consulting on finance, strategy, performance management, business valuation and sectoral research in CIS, US and Middle East. On a daily basis, Ashot works with entrepreneurs on driving their innovative companies to the next level. Ashot holds a PhD degree in Economics from the Yerevan State University. He teaches venture capital management for MBA students at the American University of Armenia. 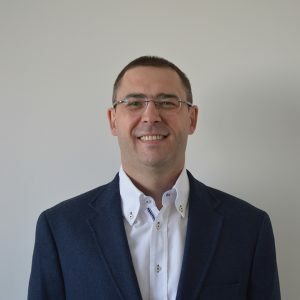 Francisco Bastida is a full-time professor of Financial Economics and Accounting at the University of Murcia (Spain), teaching management accounting, accounting information systems courses and various courses in master degrees. His current research focuses on the impact of transparency in government financial reporting from an international perspective, and on public finances. Dr. Bastida is an Editorial Board Member of the journal “International Journal of Economics and Accounting” and of the journal “Public Sector Economics”. He teaches some courses at ENAE business school and at Panamerican Business School. He is involved in consulting projects on managerial accounting implementation. European Accounting Association Congress attended every year since 2002. Several researches projects. Dr. Aboolian is a Professor of Operations Management and the Chair of Operations and Supply Chain Management Department. He was also the Faculty Director of Specialized Accelerated MBA (SAMBA) program during the first two years of the program. He received his Ph.D. in Operations Management from Rotman School of Management at University of Toronto. He teaches Operations Management, Supply Chain Management, Revenue Management, Business Forecasting, Business Statistics, Project Management and Decision Models at undergraduate and MBA levels. Armen A. Avakian is currently the CEO of Business Armenia; Armenia’s national investment and trade promotion agency. 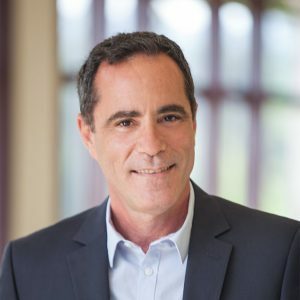 His previous experience includes being an advisor to the Prime Minister of RA, a Partner & Regional Director at the Garrison Marketing Group; a specialized marketing consulting resource for multinational as well as large local brands. He is responsible for Russia, Ukraine & CIS, Turkey & the Middle East and South America. The Garrison Marketing Group is highly involved in leading-edge marketing throughout the region with clients such as Coca-Cola, Danone, IKEA, Sony PlayStation, Telenor, Pfizer, UniCredit Bank, Bayer, etc. Armen is a published marketer with articles in leading marketing and advertising magazines in different countries, such as Brand Age.